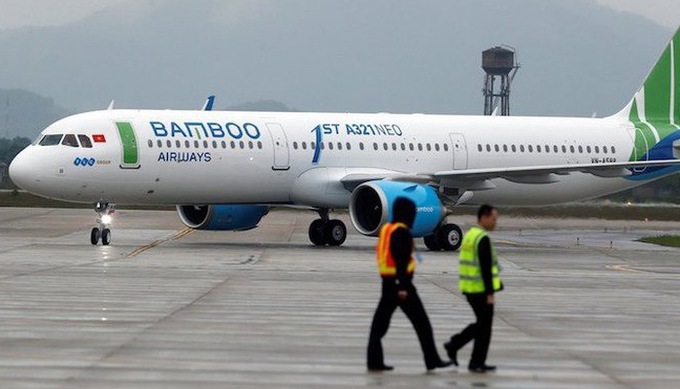 FLC plans to increase the charter capital of its Bamboo Airways by VND700 billion ($30.1 million) through an equity issue. Its charter capital will rise to VND2 trillion ($86.1 million). The investment is part of the private group’s plan to issue almost 300 million shares to existing shareholders to raise almost VND3 trillion ($129.2 million). The proposed issuance at the face value of VND10,000 (43 cents) is priced at almost twice the share’s rangebound market price of VND5,000 (22 cents). FLC will use the remaining VND2.3 trillion ($99 million) for its real estate and hospital projects. The equity issuance is awaiting permission from the State Securities Commission of Vietnam (SSC). Bamboo Airways was established last July as Vietnam’s fifth airline with a charter capital of VND700 billion, which was increased by VND600 billion ($25.8 million) last month to VND1.3 trillion. After beginning operations last December Bamboo now flies on 17 local routes and plans to start flying to Singapore, Japan and South Korea soon.